To give and to receive. The satisfaction of giving and the pleasure in receiving. We're nearing the end of the year and Christmas will soon be upon us. Today in the studio with fellow creative minds, we thought how lovely it would be to receive fabrics, sent to us from around the world, each bringing with it a unique story. Perhaps you're someone who collects off-cuts from flea markets or have a collection of Grandma's remnants stored away? 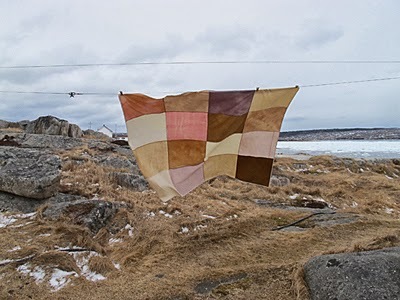 We would like to invite you to send us a piece of your fabric and with it a story, image or poem, telling us a little something about where it comes from and why it's special to you. We will then use the collection of fabrics we receive to create our staple shirt [No.1] and make them available for purchase in our online store www.sheriemuijs.com. These one-off shirts will be handmade in Berlin and available in sizes XS - L, retailing for $290 NZD (€175). Please e-mail projects@sheriemuijs.com for more details on where and how to send your fabric. We look forward to receiving your packages and to hearing your stories!